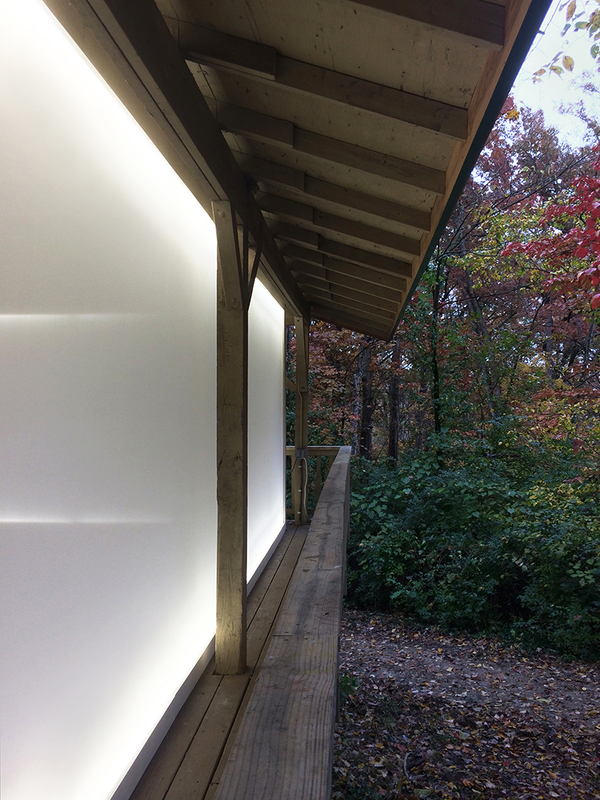 ‘cloud square’ is a site-specific installation built by polish artist karolina halatek in one of the shelters of laumeier sculpture park, st. louis, usa. 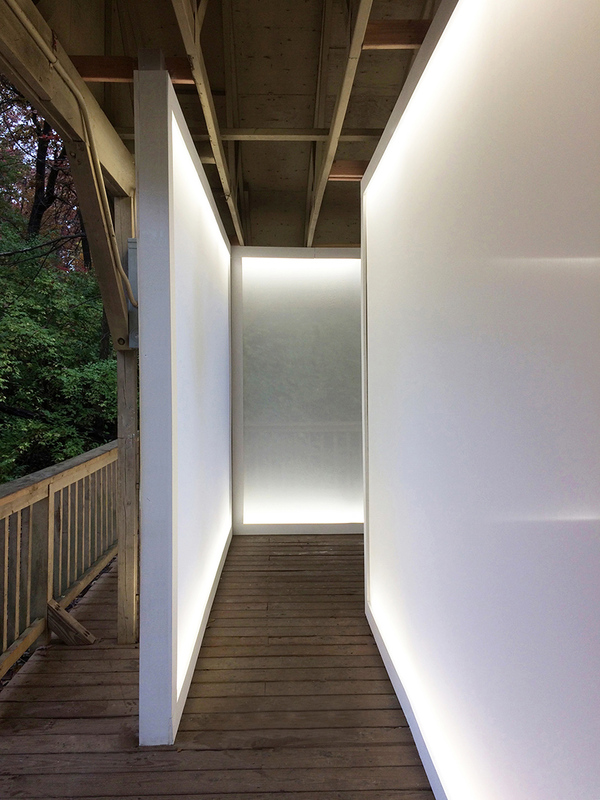 the work has been designed for the laumeier after dark, a free event opened to the broad public. 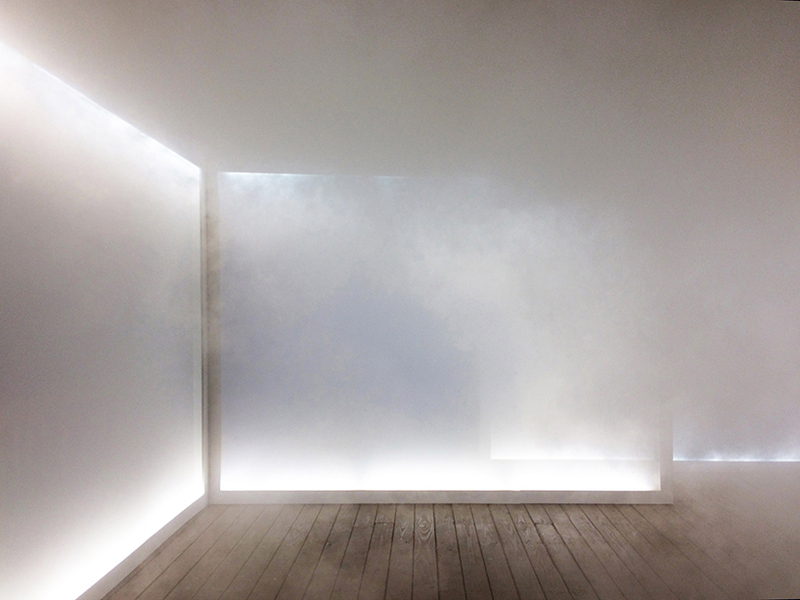 the installation invites all types of viewers to be immersed in a cloud-like cube of fog mixed with the dazzling white light, bringing the audience closer to the ‘sky experience’. 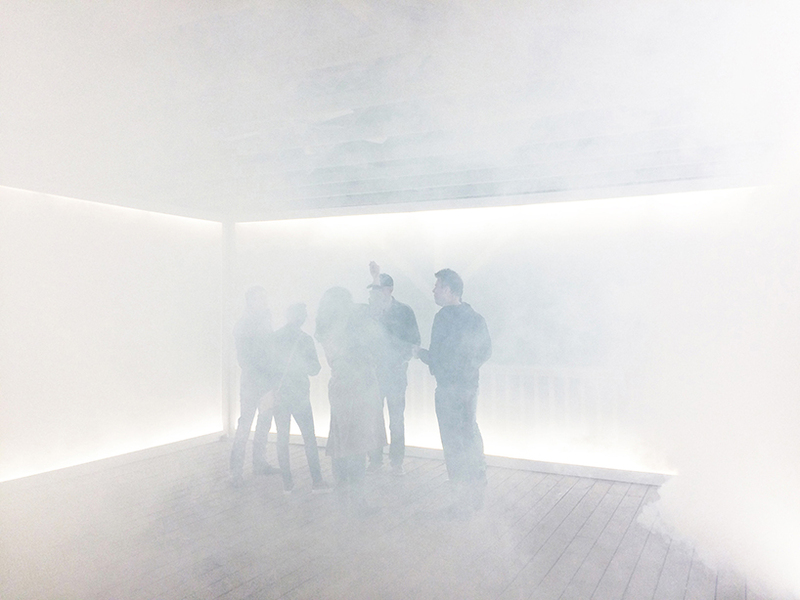 the title ‘cloud square’ refers to the form as well as to the meeting point where everyone gathers. 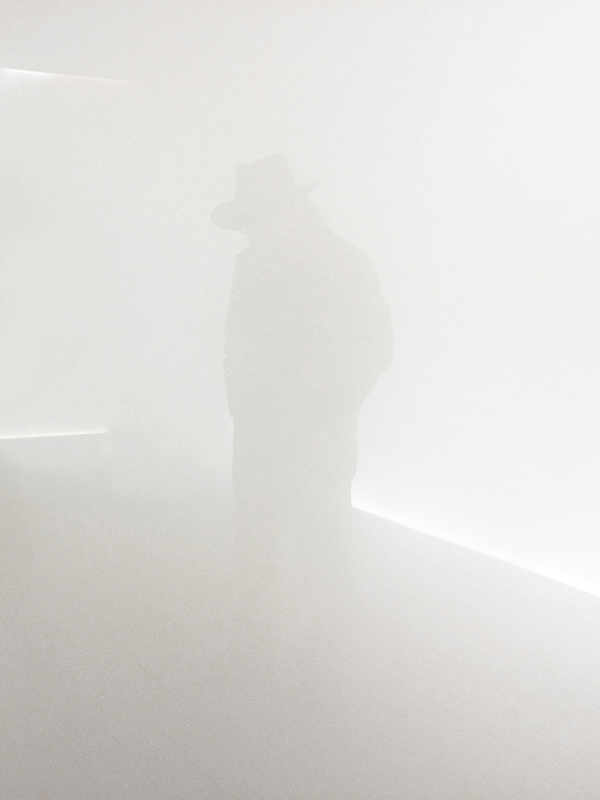 meanwhile, the forest setting, fog and house-like shape of halatek’s installation merge the nature with a sense of home. 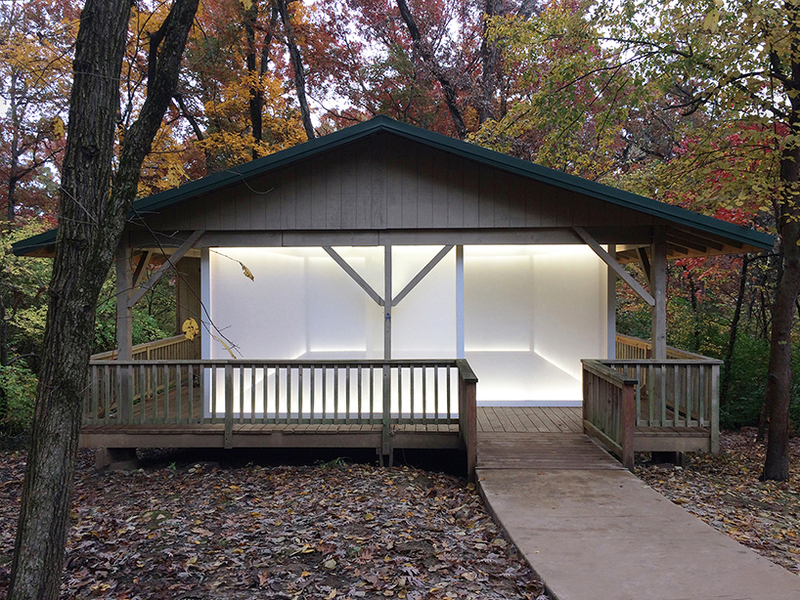 laumeier is an internationally recognized, nonprofit arts organization that is accredited by the american alliance of museums and operates in partnership with st. louis county parks. 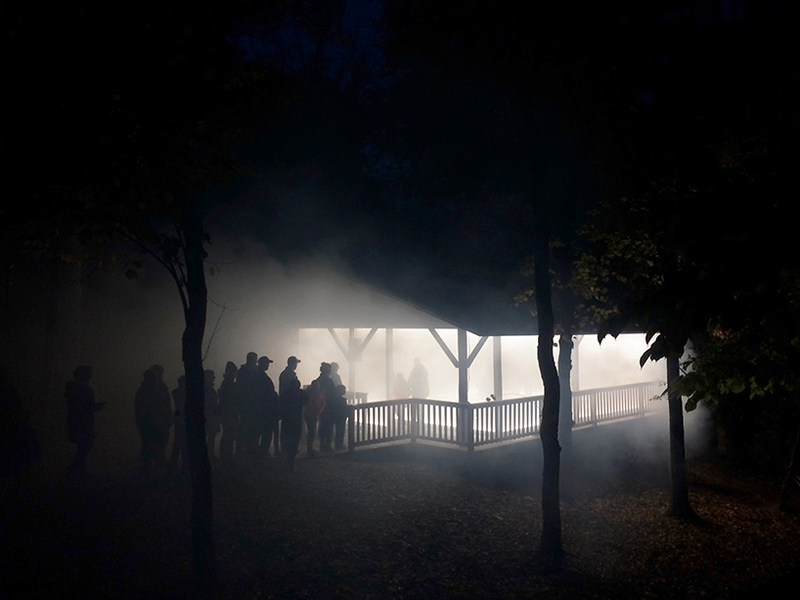 projects and programs are supported by the mark twain laumeier endowment fund, the regional arts commission, the university of missouri-st. louis, missouri arts council and the arts and education council of st. louis. 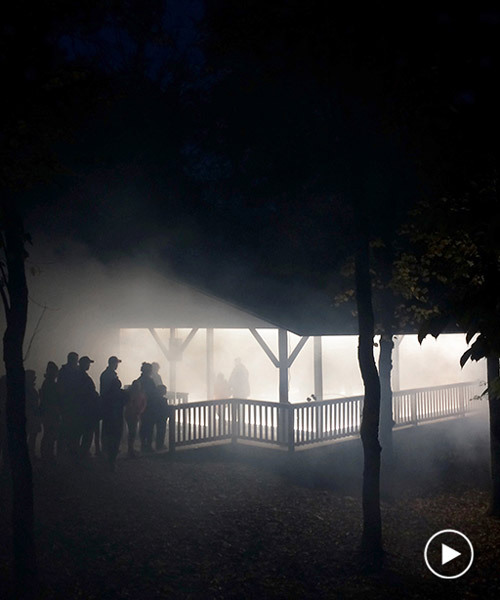 laumeier presents 60 works of large-scale outdoor sculpture in a 105-acre park located in the heart of st. louis county. free and open daily, the organization serves 300,000 visitors of all ages each year through sculpture conservation, education programs, temporary exhibitions and public events.